Tara Kaiyala Weaver brings nearly 30 years of teaching, coaching and playing experience to EMS, with a special ability to inspire and grow students of any age and ability. Tara began violin at just 18 months old, was performing by age 3, and was in intensive chamber and orchestral studies soon after . Having recently moved back to the Pacific Northwest to live near her children, Mrs. Weaver spent the past twelve years as Violin Faculty at Pipestone School of Music in Twisp, WA. Tara was Conductor of the Pipestone Youth Orchestra for 7 years, Conductor of the Pipestone Orchestra for 4 years, and is a composer with a performance project in the works on-line. Tara has premiered several of her pieces and won numerous awards and performance competitions including 1st place at the WA state solo & ensemble competition, and 2nd place at the Seattle Young Artist competition. 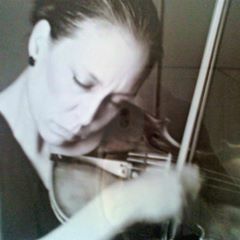 Tara now performs with the Everett Philharmonic and teaches in Whatcom and Skagit counties.